Saying ty after winning a hand. 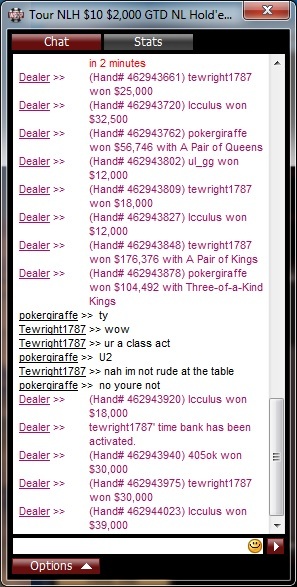 Right after winning a hand is when you really shouldn’t say anything. … and most of us know that. And BTW, where was your nh?